"Increase your leads and sales with an "Industry Insider" who knows your customers and your business!" FAQs: How do I get started with B2B Copywriting by Alex Milo? #1: The first step is project start when I first discuss your requirements with you or your designated representative. My goal is to fully understand your goals and objectives, so I can deliver exactly what you need and want. To ensure my understanding, I provide you with a document outlining your requirements and specifications along with a complete quote. #2: Once we agree on the way ahead as well as a timeline, I move on to step two and work to deliver my first draft. Upon delivery, you’ll critique my draft and provide additional or clarifying guidance on any changes. Your feedback ensures we’re on the same page. At this point, I move on to step three. #3: Now I focus on including your latest guidance and preferences in the final copy. I’ll have a product that meets your expectations. But, to ensure you get what you want… I offer you an opportunity to make any other changes within 30 days of delivery of the final copy. Do you work on quick turnaround projects? In a word, Yes! Short- or no-notice projects are unavoidable sometimes. We all experience last minutes emergencies. Personally, I’m a planner by nature and work methodically. However, my business exists to support your business. If you do well, I do well. To contact me, just call me on my cell number at 256-289-3212. If I’m unavailable, please follow-up your call with an email. Or send me a fax, and put the word URGENT in the subject line. Add a very brief message detailing the nature of the latest crisis. As with anything else, when you drop what you’re doing to tend to something more important, it costs a little bit more. In my case, I charge a 25% premium to my fee. Depending on the size, scope, and complexity of the project, it might be less, but 25% is my upper limit. On the weekends, my premium is 25%. Bottom line: If you’re not satisfied with the final product, I’ll re-write the copy – based on your input – within 30 days of the completion date of my original submission. If you succeed, I succeed. My goal, first and foremost, is to deliver exactly what you want. What are your payment terms and rates? Fees vary depending on the project. What factors go into my rates? They include time spent researching, interviewing, collaborating with you and your team, and project size, scope and complexity. Nonetheless, I have a standard rate sheet that I’d be glad to send you – just give me the word. Please keep in mind, this is a baseline, but it offers a fairly close project estimate. If you’re looking for a more tailored estimate, and you have some specific projects in mind, let me know what they are, and I’ll provide you a more precise quote. You can reach me at my contact information below. I accept a variety of payment methods, including PayPal, Venmo, and checks. You may pay in full at the beginning of the project, or you may pay in three installments – 50% at project start and 50% when I deliver the first draft, I will do up to two re-writes to ensure you’e 100% satisfied. I’m a Certified Professional Logistician, a certified SEO copywriter, and a certified technical writer. I minored in English at Indiana University in Bloomington – Go Hoosiers! Additionally, I earned my certification in SEO copywriting and technical writing at SEO Copy Works and Clemson University, respectively. You can find a more detailed version of my qualifications here. My deep understanding of transportation and logistics qualifies me to write marketing content such as White Papers and case studies, which delve into the complexities of logistics. My background enables me to take a complex subject like logistics and simplify it for your prospect who needs to understand – in plain English – what your product/service can do for him or her. What type of assignments do you work? I work on long-term, short-term and quick-turnaround projects. Long term projects include consulting on integrated marketing including, content marketing, email marketing, search engine optimization, social media, such as blogging, and branding. Short-term projects involve meeting your marketing collateral needs in getting ready for a trade show. Brochures, video scripts, case studies and white papers are some examples. Quick-turnaround projects depend on you. 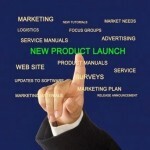 It can be either inbound or outbound marketing collateral. It can run the gamut from writing a new homepage or landing page to marketing content. Or it can include a press release, a blog post, or direct mail piece. Do you have a specialty? I specialize taking an integrated marketing approach to content marketing focused on lead generation. My expertise in logistics enables me to write persuasively about the diverse and complex field of logistics. My deeper understanding of logistics produces focused and powerful White Papers, Case Studies and other marketing collateral. You won’t find a more qualified logistics content copywriter. As you know, to write any marketing collateral, you must know your customer and your product/service – intimately. Your marketing content will reflect my experience and expertise. I also blog because it operates as a potent lead generator. Blogging has many dimensions and is especially useful in integrating on- and offline marketing efforts. It also integrates with SEO, other social media, and content marketing. I can write a White Paper, which you can market in print and online via your blog. The versatility and popularity of blogs make it a smart choice for any marketing plan. As a serious marketer, you should consider making a blog the hub of your website. A website audit is a diagnostic. It examines the vitals of your website for optimization, customer focus, consistent messaging/branding, website usability, and readability. My website audit includes a proven method that employs a 37-point checklist. For $497, I’ll prepare a website audit for you and give you a detailed report highlighting the strengths and weaknesses of your website. This serves as a useful roadmap in helping you focus your efforts on the areas where you need help… and avoiding those areas that don’t. It’s effective and efficient. Contact me today to schedule your website at amilo@b2bcopywriting-alexmilo.com. You can contact me by filling out an easy short from here, by email (amilo@b2bcopywriting-alexmilo.com) or phone (256-886-4684). The best time to contact me is between the hours of 9 a.m. and 5:00 p.m., Monday – Friday. The best way to reach me is via email at amilo@b2bcopywriting-alexmilo.com. Or you can fill out a short form here. (Both are easier than trying to reach me by phone.) I’ll get back to you within 24 hours. If it’s urgent, call me on my cell and send me a follow-up email or fax with just a few details about your “hot” project. We all have them at one time or another – so much for best-laid plans. Are you available on the weekends? As most people do, I take the weekends off. But… if you need assistance – and it simply can’t wait until Monday – then feel free to contact me ASAP. If I’m not otherwise committed, I’ll support you in getting through the latest mini-crisis du jour. Of course, I charge a premium of 25% for this service.